Commercial Shrimp farming can be a profitable business and a way to produce high quality source of food. Infect, shrimp is a multi-million dollar industry in aquaculture. 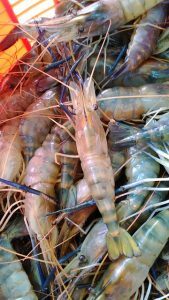 Anyone can make good money with a commercial shrimp farm because of the many advantages that come from doing it. It’s a low cost, high profit business that can produce food and address world food crisis. You are very likely to always have high demand from customers. With the world population rising, we have no choice but to figure out new ways to produce more food, in new ways in order to feed the growing world population. So anyone that is getting involved in this kind of business is not only helping themselves but also helping solve an issue that is of big concern in today’s world! Commercial shrimp farming is a very profitable and rewarding business, so it is something that is worth investing in if you are seriously interested. 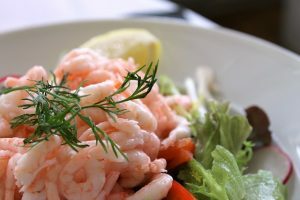 Shrimp is a high quality protein that is in demand around the world and also has numerous health benefits which also makes people want to buy it. Shrimp is considered a valuable commodity that brings millions of dollars to our economy through business and also by creating new jobs in the community. There is a wide range of benefits for a lot of people which makes it a great business venture. Who can start a shrimp farm? 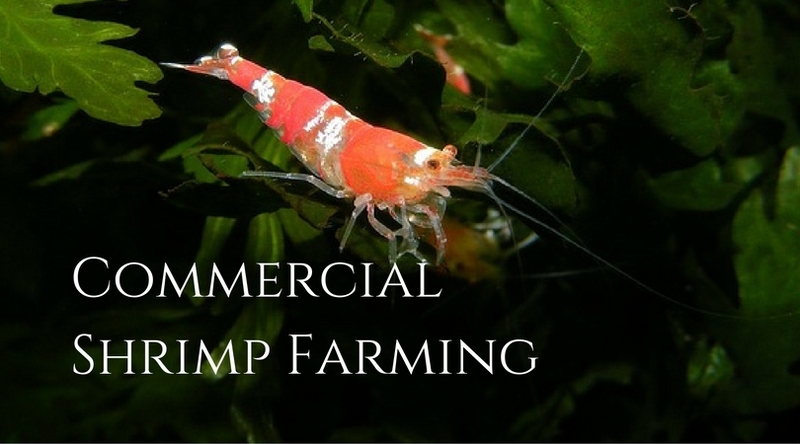 Anyone who is interested and dedicated can start a commercial shrimp farming business. All you need is a little bit of space, some extra time, and some capital for starting your business. Even if you plan to start a shrimp farming business in your backyard, and want to start small, you can still have very rewarding results, so avoid thinking that you have to start out with a huge space and large facilities to get started. You can start small in your own backyard, understand how to make it work, start getting a little profit, and then expanding if you so desire. If you are seriously considered starting your own commercial shrimp farm, try to learn as much as you can about the business. This way you will have a very clear plan and different ways to deal with certain situations, or solve problems if they come up. 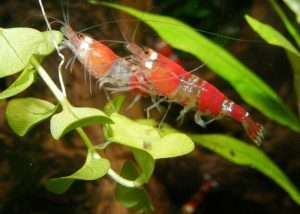 What is the right kind of shrimp specie suitable for your area? Do you need any constructions? When will you start harvesting and making money? What do your shrimp eat? What are the predators and health issues? Do you need permits or license? How do you test your water quality? You should try to learn as much as possible about your business and market to know exactly how you should go about marketing and distributing your product. The more you learn, the more chances you have of becoming a successful commercial shrimp farmer. Knowledge is power so use all the information you acquire and apply in the smartest possible way to get your business going. If you really think that you have a good chance of success, you should get into it more deeply and expand your business in a way that enables you to reach more customers and this way your profit and impact will be much larger. Even if you think you don’t want to invest a whole lot of money or time into it, you can still start small and get a feel for what it is like to be in the business and then decide how far you want to take it. You can still produce enough shrimp to sell around your neighborhood, sell to nearby restaurants, at a local farmers’ market, or sell them to your friends. This is a good way to start as you can get to know the people consuming your product and get their feedback and this way you can improve your farming skills to eventually make the business bigger if you want, these initial experiences can be priceless. An aquaponic fish farm can be a self-sufficient sustainable method of raising fish and growing vegetables at the same time with minimum waste and inputs, another one of many benefits for yourself and the planet as well. It saves time, energy, and money leading the way in environmentally sustainable agriculture. Even if you don’t want to raise fish or grow vegetables commercially, you can grow enough food to feed yourself which will save you some cash! P.S: Setting up an aquaponic system in your backyard with plumbing and pumps can be a little tricky. Read our blogs regularly for more information. 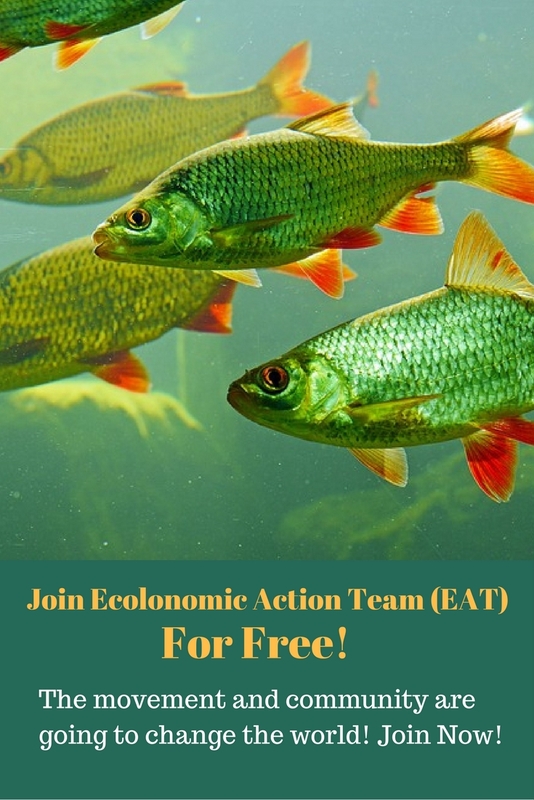 To learn more about it Join our weekly Ecolonomic Action Team (EAT) live webinars. Also, join our aquaculture central portal for tons of information for FREE! I read the article which is very interesting and helpful. i need the detail information of all above 11 questions before getting start. I am intrested to start prawn framing .Pls guide me. I would like to build a shrimp farm. can you help? We can help you with your aquaculture consulting needs. Here are several things we can do for you. First, we are going to make you a FREE member of our site where we teach courses and have live webinars about all kinds of aquaculture and agriculture. That site is called http://www.eatcommunity.com and you will get an email with login instructions. I am graduating from college in practically 8 months and i would like to start up aquaculture for profits sake since there is a high rate of unemployment in my country as soon as i leave school. a little bit of counselling would be really apprecited. I love all about fish and I would like to know more on aquaponic fish farming for a small scale farmer like me. This article is very interesting and useful to the persons who are interested in starting of the shrimp farm. Thank you for your article. I have a poly-culture shrimp system that I have perfected over 20 years and I am looking for an investor here in Panama. Please contat me at dqdesmoines777@gmail.com Im interested in learning a little more about your business in Panama. We would like to build an indoor system in Bulgaria. Could you send me some estimations on costs for different production capacities? And could you suggest a company, yours for example, that could help with the engineering plans, production systems, etc. We would want to get started immediately. I have 5 acre piece of land in Sanford Florida.After reading initial introductions to shrimp farming it has interested me to start small and build up with time to commercial level.I can invest up to 10,000 usd starting capital.However due to my age( 60 years) I am looking for younger person as partner,so if we expand the partner will have to work harder than me.To compensate his/her effort the partner should invest 50% of what I invest.On top of that I offer free use of land for first two years of starting.Other miscalaneus issues can be sorted out once the basic issues are agreed upon.I have no idea how to start the venture nor any idea of how much money is required to start small.